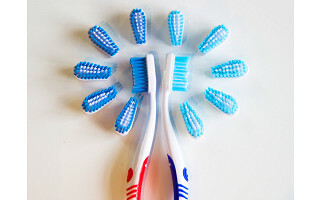 We all know that we’re supposed to change our toothbrushes regularly (the American Dental Association recommends replacing them every three to four months). 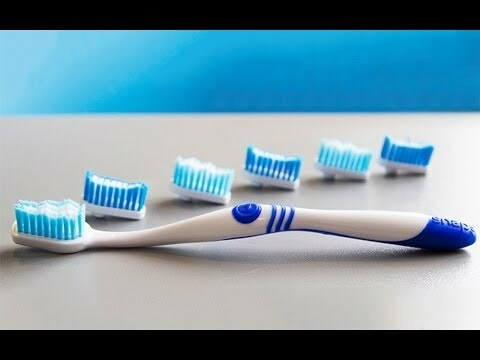 Yet, most of us keep on brushing with the same old toothbrush longer than we should. Not anymore... With the Snap Toothbrush by Greener Step, it couldn’t be more convenient or cost-effective to follow your dentist’s guidelines. When it’s time for a new brush, simply snap out the old head and snap in a new one. Invented by Greener Step founder, Roberto Rivera, this replaceable head toothbrush was designed with the help of oral care professionals in Boston, Massachusetts. Each Snap Value pack comes with two ergonomically designed handles plus 12 replaceable brush heads diamond shaped for easier access to back teeth, angled for a gentler, deeper clean, and featuring multi-level bristles for better plaque removal. And, if that’s not reason enough to smile, the Snap Brush was created with an eco-friendly goal in mind—to help reduce unnecessary plastic waste. Now you can make your pearly whites cleaner and the world a little greener while you brush. Thank you for checking out Snap toothbrushes. Sometimes a little creativity in how we design and package something as simple as a toothbrush can make life a little easier. If you appreciate the convenience of not having to remember to run to the store for a new toothbrush or if you want to throw away less plastic into the environment then we've got your back. But if you are still "on the fence" perhaps getting a great deal will make your decision a lot easier. We are very thankful of bringing our mindful innovation design philosophy to the Grommet community and we look forward to answering your questions. 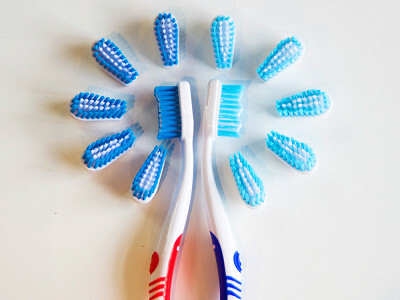 Is there options for softer bristles for those with sensitive teeth? Are the handles and/or bristle sets recyclable? The handles are reusable the goal is to avaoid having to recycle which can be very resource intensive. We encourage customers to reuse the handle for a long, long time. As far as the brush heads, they are not recycleable due to the different materials that go into the tufting process of the brush. We have evaluated a recycleable nylon material but the quality was not very good. For now the best we can do is making sure we can reuse the handle and by doing that cutting back on plastic waste by as much as 93%. Would this type of design work with a "sonic" toothbrush? You should really look into that if you aren't already! Our brush heads only work with our manual handle. For a Sonic electric toothbrush you will have to use the ones from that particular electric toothbrush. No plans on our end to go electric any time soon, unless we can make it in a more eco friendly way. What a great idea this is. Do you make a "refill" product for the brush heads? I would like to buy these but once the original brush heads are used up, do I have to buy a whole kit again just to get new brush heads? We offer a 6 pack of refills through our website and will also work with the Grommet to make sure they can offer refills. With the Snap Toothbrush by Greener Step, it couldn’t be more convenient or cost-effective to follow your dentist’s guidelines. When it’s time for a new brush, simply snap out the old head and snap in a new one. Invented by Greener Step founder, Roberto Rivera, this replaceable head toothbrush was designed with the help of oral care professionals in Boston, Massachusetts. Each Snap Value pack comes with two ergonomically designed handles plus 12 replaceable brush heads diamond shaped for easier access to back teeth, angled for a gentler, deeper clean, and featuring multi-level bristles for better plaque removal.